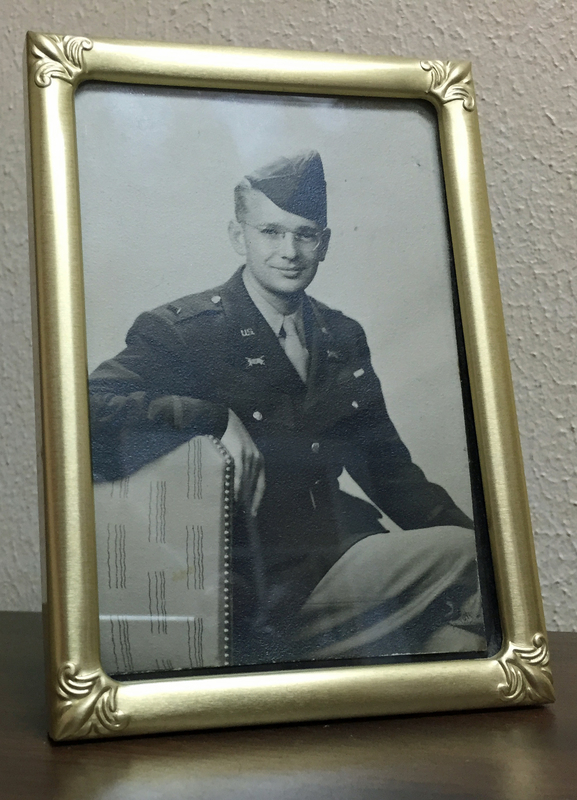 As I write Volume 2 of the Stokely Chronicle, I’ve reached (and passed) May of 1941. 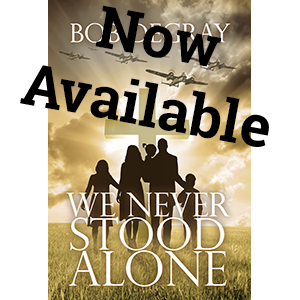 It was a busy month for the Stokely Free Church, and a pretty busy month for the war effort. In North Africa growing British forces were attempting to relieve Tobruk, and failing. In the North Atlantic the British fleet was deeply wounded by the German battleship Bismarck before they finally caught her, and sank her on May 27th. I would like to have included the fascinating story of the Bismarck in the book, but unfortunately I have no reasonable character on the scene. Nonetheless I took a rabbit trail trying to figure out how much my characters would have known about the sinking from publicly available information – and how much they didn’t know. The newspaper of record, of course, was The Times, (so prominent that it was almost never called The Times of London, until recent years.) The paper began coverage of the Bismarck on May 26th with extensive coverage of her sinking of HMS Hood, one of Britain’s greatest battle cruisers. The Bismarck, had put to sea a few days earlier, was discovered, and encountered a hunter-killer group of 14 Royal Navy ships, including the battleships HMS King George V, HMS Hood and the HMS Prince of Wales, HMS Hood was sunk by a single salvo which struck her ammunition magazine. The resulting explosion sank the British ship in three minutes, leaving only three sailors alive out of a crew of more than 1400. On May 27th The Times reported that Bismarck, still being pursued, had been hit by at least one aerial torpedo, launched by a torpedo bomber from the HMS Ark Royal, one of two aircraft carriers involve in the chase. It was not until about 10.30 a.m. on May 26 that the enemy was again located. At that time the Bismarck was sighted by a Catalina aircraft of Coastal Command in a position about 550 miles west of Land’s End. This aircraft was attacked, and as a result lost touch with the enemy battleship half an hour later, but at 11.15 a.m. the Bismarck was sighted by naval aircraft operating from H.M.S. ‘Ark Royal. During the afternoon a striking force of naval aircraft was dispatched from H.M.S. Ark Royal to attack with torpedoes, but this proved unsuccessful. Within 20 minutes another striking force of naval aircraft was flown off by H.M.S. Ark Royal. This force attacked successfully and one torpedo was seen to hit the Bismarck amidships. A second hit was obtained by a torpedo on the starboard quarter of the German battleship. It was subsequently reported that on being hit during this attack the Bismarck made two complete circles and that her speed was again reduced. The next day Bismarck was approached and shelled by HMS King George V and HMS Rodney, and all Bismarck’s guns were silenced. She was then torpedoed by destroyers and apparently scuttled herself and sank. A little over a hundred of her crew survived and were taken prisoner. All of this was extensively reported in The Times. The paper was, at the time, under a pretty high level of government censorship, so it seems clear the British thought celebrating the details more significant than censoring them. Details of the battle, of course, proved somewhat different than the first reports in The Times, but overall it was well reported. What is missing is any knowledge of what went on behind the scenes, especially from ULTRA, the top secret Enigma code breaking operation based out of Bletchley Park. 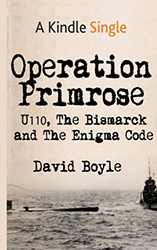 For years after the ULTRA secret was revealed, most people felt that ULTRA could not have contributed to the finding of the Bismarck, because Bletchley Park had not yet significantly cracked Naval Enigma messages, and because even if they had, they could not do it in real time. That month saw the capture of U110, together with an intact coding machine, just a few days after the first breakthrough — the capture of the naval Enigma settings for June — and the crescendo of the Battle of the Atlantic only days later: the pursuit and sinking of the German battleship Bismarck. As Boyle says, prior to the pursuit of the Bismark, the Royal Navy briefly captured a U-boat, U-110, south-west of Greenland. The captain of the U-boat had felt that his ship was sinking rapidly, and it was only after he and all the German sailors were off that he realized the U-110 was still very much afloat. By that time two British destroyers, Bulldog and Braveheart, had arrived, and RN sailors were able to go aboard. They got the submarine under tow, but she was still sinking, albeit slowly. They finally had to cut the tow cable and let her go down. But in those few hours they were able to search the sub. Balme shouted up for the team to join him, telling them to discard anything that was obviously a magazine or reading material but to grab anything else. None of them could read German and the papers seemed to have been strewn everywhere. He organised a human chain to pass things up to the control room when the telegraphist came out of the radio room. “There’s something rather interesting I want to show you,” he said. In the radio room, a tiny space, was a machine like a typewriter, screwed to the table. They could see that when you pressed one key, another one lighted up. Balme told him to unscrew it and send it up with the rest. The Admiralty, immediately appreciated the significance of this find. Earlier that month the RN had captured an intact book of Enigma code settings by sweeping down on a German weather trawler. The critical naval Enigma machine had been jettisoned by the Germans, but the June code book, locked in the trawler’s safe had been recovered. 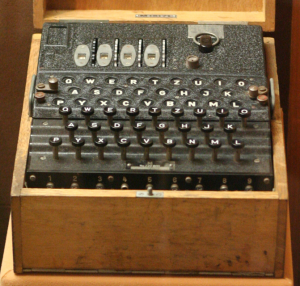 It was sent to Bletchley Park. As soon as OIC (Operational Intelligence Centre) learned what had been recovered from U-110 they gave the whole operation a name, Primrose, and classified it Top Secret. 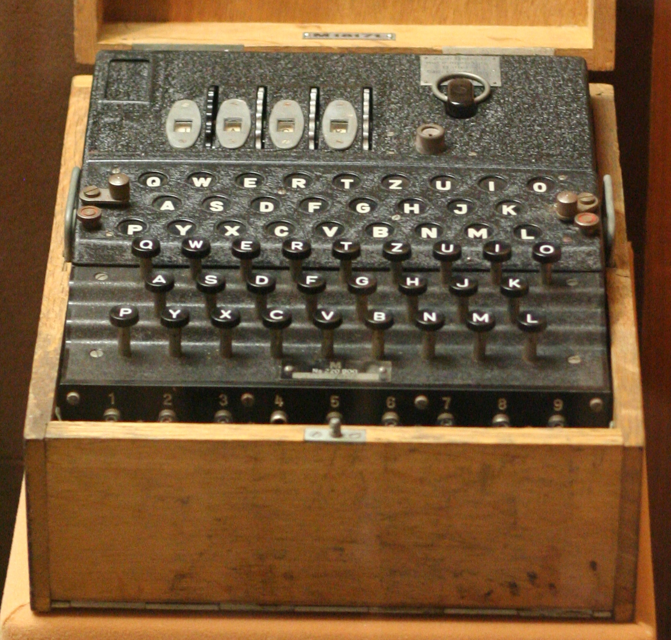 Though the June codebook would not go into effect for several days, the combined impact of finding the machine, along with previous discoveries that month, gave Bletchley Park enough insight to begin cracking naval signals, sometimes in as little as six hours, much reduced from the previous two month average. As a result, during the Bismarck incident, they were able to crack several messages, a small percentage. But none of these seemed to be of any great value. In Hut 6 [at Bletchley Park], where they decrypted Luftwaffe and army signals, they decoded a message from the chief of staff to the Luftwaffe general Hans Jeschonnek in Greece. It implied that a close relative of the General’s was on board Bismarck and he wanted to know where it was going. Jeschonnek had no son himself, but it was clear he had a family interest in the Bismarck’s intentions. In answer, Luftwaffe command copied a signal from Lutjens, captain of the Bismarck, put it into Luftwaffe Enigma code and passed it on to Athens. Bletchley saw its significance immediately, but could not read the position or course. Desperately, the cryptographers searched for the original naval signal in the piles of unread traffic. When they found it, they still could not read it. Then it dawned on them that the operator had made a mistake. They tested out a series of possible mistakes before one of them finally unlocked the message within. There was the Bismarck’s course and position set out in black and white. A Catalina flying boat was sent up to check early on the morning of May 26, and there was Bismarck, heading desperately towards Brest and trailing oil as she went. This is what the public didn’t know. The heroic performance of the Catalinas was, like so many other things in the war, a cover-up for the intelligence gained by code-breaking. Naturally, I can’t put any of that in my book. In fact, one of my characters, Henry Padbury, is working at Bletchley Park at that moment, but keeping the secret of ULTRA was an absolute imperative. The public could not know, the Germans could not know, and my readers cannot know. In fact the secret was kept for more than thirty years before a few key players began to talk about it.